The Toyota Supra Mark III was the first Supra to be completely separate from the Celica line. While the Celica followed the rest of the compact imports into front-wheel drive, the Supra retained its rear-wheel drive configuration and received all-new chassis and bodywork. Like its predecessor, the Mark III Supra was a good-looking car, reflecting the design aesthetic of its period, nicely crafted and understated. 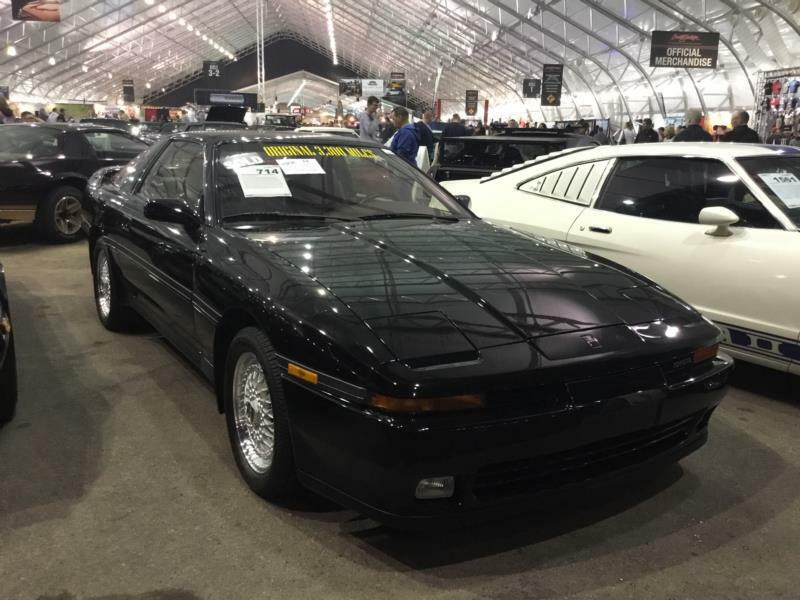 Arriving mid-year in 1986, the Mark III Supra was gifted with a substantially upgraded engine compared to the model it replaced. The new Supras received a 3.0-liter, DOHC four-valve engine that delivered 200 hp and 196 lb-ft of torque. That power was sent to the rear wheels through the buyer’s choice of a five-speed manual or four-speed automatic transmission. Just a few months later, the 1987 models arrived, adding a high-zoot turbocharged option to the Supra line. The turbo Supras boasted 230 hp and 246 lb-ft of torque. The turbo engine was also Toyota’s first distributorless engine, with individual coil packs firing the plugs based on a cam position sensor. To handle the extra power, turbo models received a special, heavy-duty five-speed manual transmission. Engine power remained constant through the Mark III lifecycle, with a redesigned turbo offering an additional 2 horsepower in 1989. Toyota also brought the technology wagon to the Supra Mark III, making the new TEMS (Toyota Electronic Modulated Suspension) system standard on turbo cars and optional on normally aspirated models. The suspension system offered electronically controlled “normal” and “sport” settings for the shock absorbers. Anti-lock brakes, headlight washers, a targa top, a trip computer (through 1989), and a driver side airbag (beginning in 1990) are other notable features. A total of 108,565 Toyota Supra Mark III models were produced over its six-year cycle. With such a long production run, the Mark III Supra cannot be considered a transition model, but rather an evolutionary phase on the way to the final expression of the Toyota Supra – the Mark IV that would become a legend in import sports car tuning. Mark III Supras today are affordable, and have an enthusiastic following, meaning there is a lot of parts and club support available. The turbos in particular were driven hard when new, and can be difficult to locate in a well-maintained state, though well-sorted examples are quite rewarding to drive.